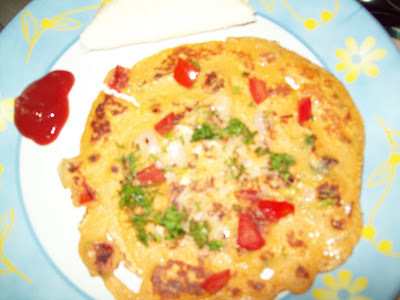 Tomato Omelets which is a favorite breakfast of my family. It's a pure veggie Omlet nutritious and healthy . This is one of my favorite omelet because it is a perfect one for vegetarians who do not eat eggs or like eggs in food (I am one of them ).This can be prepared literally in minutes, so this has become one of my favorite breakfasts to cook as well as eat. It tastes really good too. One can have it at breakfast or even as a meal by itself. Boil tomatoes and peel skins and make tomato puree. In the tomato puree add gram flour, tomato, onion, turmeric powder, chili powder, oil, salt, baking soda and water into a medium thick batter. Heat a skillet (tava), smear it with oil, spread the batter and place a tomato slice and chopped coriander leaves in the centre. When cooked, pour a teaspoon of oil over it and flip it over. Dereshana passed me Wylde Women award This a very pretty one. Honour to receive this from u.Thanks a lot.I would like to pass on this award to all my ''Bloggers Friends''.Each one of you deserve this. 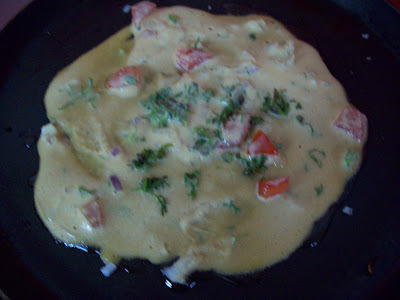 Thank you Kitchen Flavour for quick response and I send my entry to omlet contest. thanks for information. This is really cool. Even i was searching for eggs :) Thanks for sending it t o my event....but i want to change this name to eggless omelet in my list can i? Perfect breakfast item looks yummy.There is one posted in my blog too. 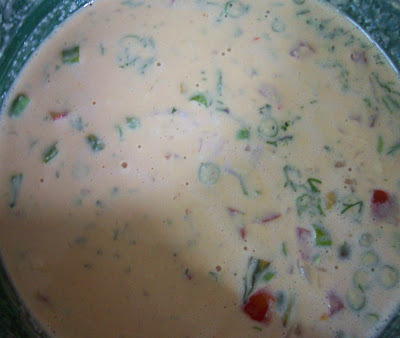 wow... nice entry... this recipe is new for me.. i will try it today & thxs for sharing..
Onlinela kanum enna romba busya? wow! tomato omelet is looking so nice! Healthy and filling to have it for breakfast! add u as a follower of my blog to have my recipes in ur dashboard itself! I tried this omlette Jaishree and it came out well. will be posting it soon.